Remove dirt from shoes and wheels with no residue. 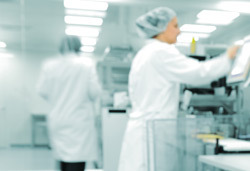 If you are looking to keep an area sterile or simply want to reduce tracked-in mess, sticky mats provide the ultimate protection short of removing your shoes whenever you enter an industrial environment, home, or clean room. Ideal for contractors, engineers, mechanics, and scientists alike, this cross-over product lessens the need for repeated cleaning. Keep construction areas and floors clean. 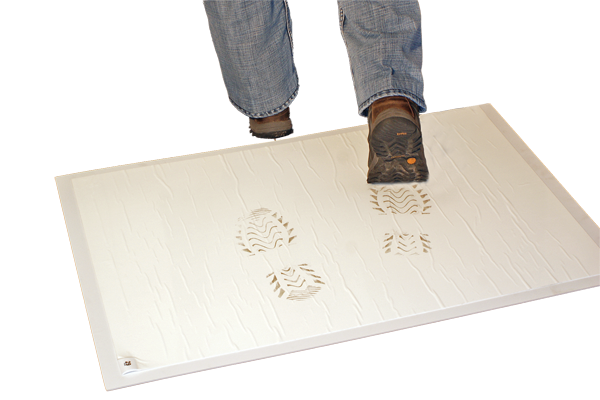 These practical 24″ or 36″ tacky mats can be placed at the entrance of a home, outside of a room under re-model, in a warehouse, or any place where you want to capture outside dirt and debris from the underside of someone’s shoe. Each mat contains 30 peel-away layers for when heightened traffic has sufficiently coated the low-tack adhesive surface in contaminants. 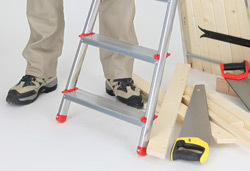 Sticky mats can adhere directly to almost all floor surfaces or they can adhere to a sticky-mat base (sold separately). When used in conjunction with a sticky-mat base, the underside offers a non-skid surface to prevent slippage and so that you may easily relocate it from location to location. The adhesive material on each mat is formulated so that it will not transfer to your boots or shoes. Sticky mats are available in blue and white in 24”x36” dimensions. We also stock larger 36″ x 36″ white mats.